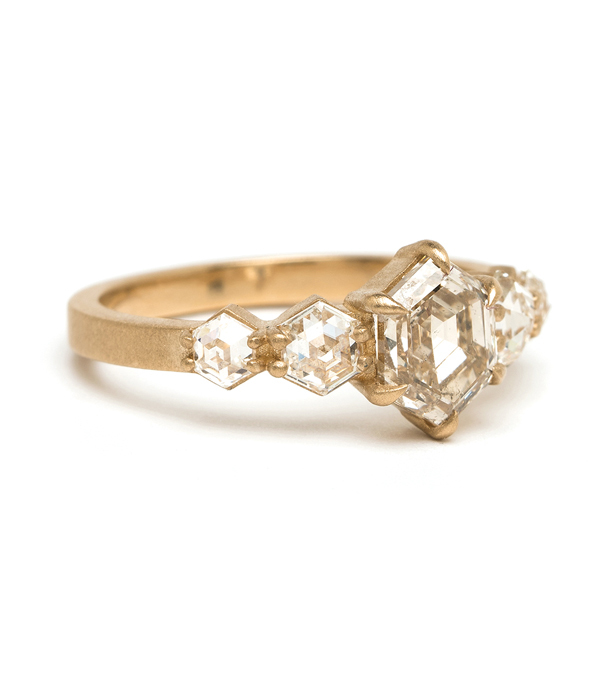 Inspired by the beauty and mystery of the constellations, the champagne hexagon diamond Stardust ring reminds us of the wishful magic we attribute to our vast galaxy. 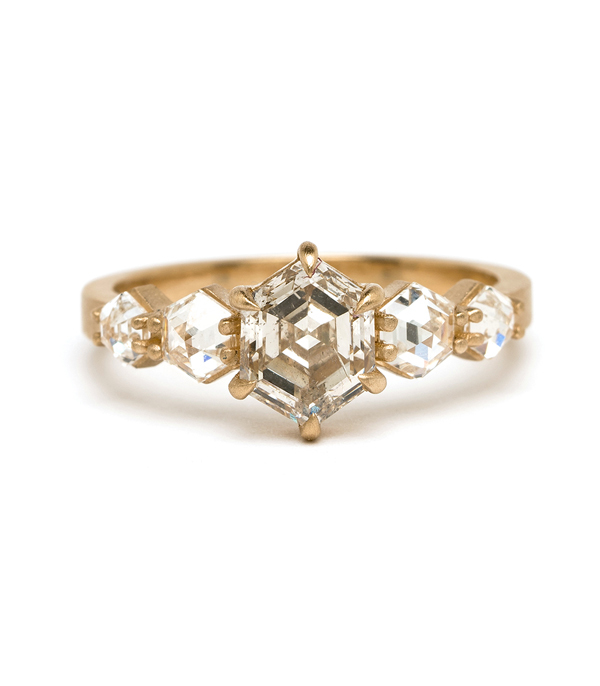 The center of the ring features a truly unique, champagne Hexagonal Step Cut diamond (1.26ct) flanked by four hexagon rose cut diamond accent stones that recall the allure of a raw crystal form. 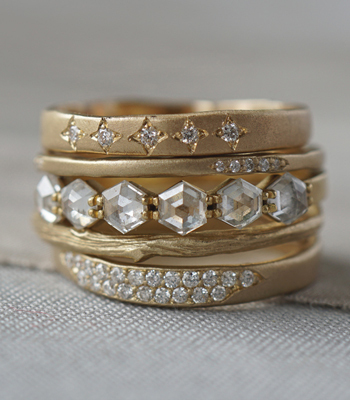 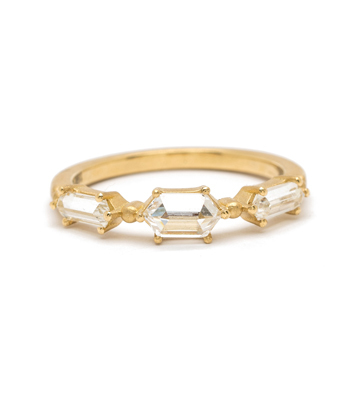 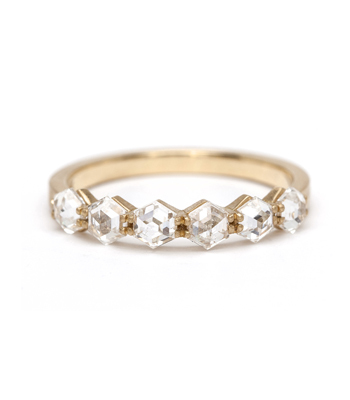 This diamond ring would make the most non-conventional engagement ring for boho goddesses and rockers everywhere. 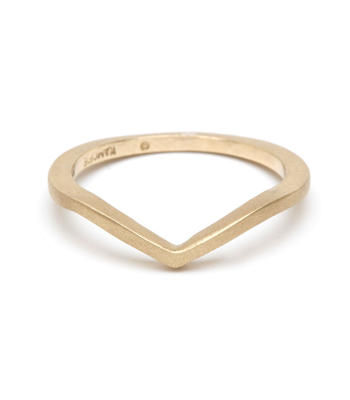 Wear this unique stacking ring as a part of your coolest ring stack, or on its own as a perfect way to electrify any outfit. 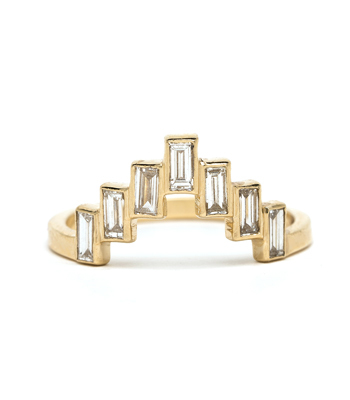 Ziggy would approve. 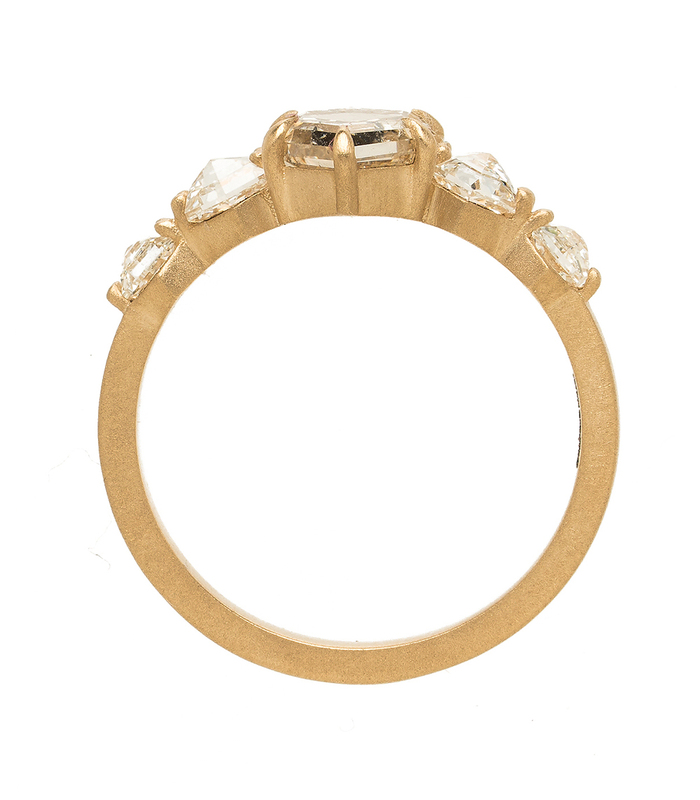 Categories: Champagne Diamond Rings, New Arrivals, One of a Kind Bridal, Rocking Tradition.